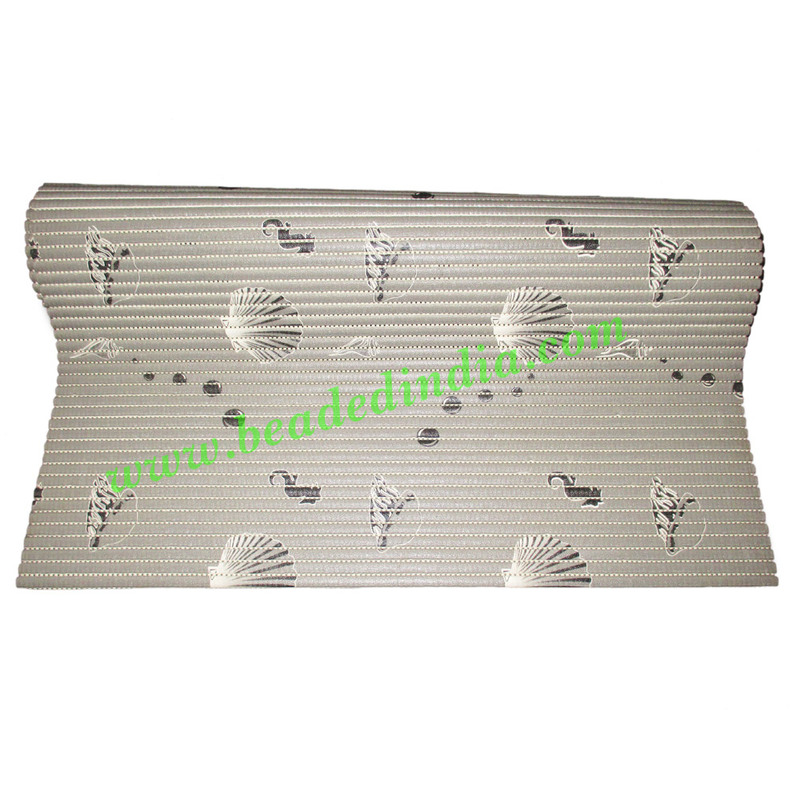 Yoga Mat, soft-gripped and comfortable mat, size 27x72 inches (69x183 cm), thickness 4mm. Fine quality comfortable yoga mat, made of rubber based materials, well gripped, soft, able to absorb shocks, light weight, washable, easy to carry, best for yoga, fitness, wellness, physical exercises and meditation, size 27x72 inches, thickness 4mm. Silver Plated Fancy Beads, size: 11x10mm, weight: 2.47 grams. Sterling Silver .925 Headpin size: 3 inch (76 mm), head size : 10mm, weight: 0.73 grams. Sterling Silver .925 Brushed Beads, size: 24x16x9mm, weight: 4.54 grams. Silver Plated Fancy Beads, size: 13x12mm, weight: 3.76 grams.